With the time zone difference between the US and Soche, Russia, many people are sleeping or at work when most of the 2014 Olympic events are on. In prime time, NBC broadcasts replays of what they want you to see. But what if you want to watch snowboard cross live on your lunch hour or want to watch replays of curling instead of ice dancing? There's an app for that. 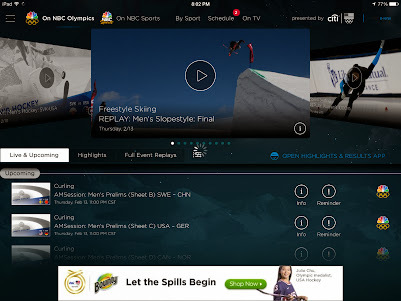 The NBC Sports Live Extra app is a universal app that allows you to watch both live events and replays of events, even curling. The video quality was good for me when I had a good internet connection. With the Retina iPads, you can get up to HD quality, depending on, of course, how much bandwidth is available to you. To watch most of the video, including the live action, you need to have an account with one of the listed TV providers and log in to that account in the app. The list of TV providers is huge, including much more than just the big boys, so there's a pretty good chance your TV provider is on the list. 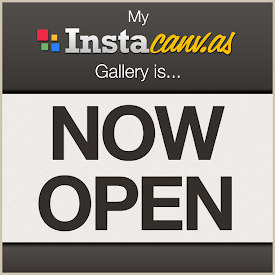 If you are outside the United States, you are out of luck with this app. It only works in the US. If you are inside the US, you can watch pretty much anywhere you have your iOS device and a decent internet connection.